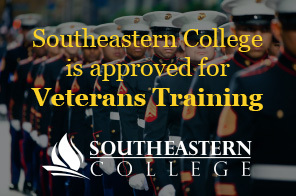 Southeastern College does not make any recommendations regarding lender selection. Lender terms and eligibility change from time to time and while all the lenders listed below currently provide loans to our students; they may not always do so. Private student loans should only be considered after applying for federal financial aid. Private student loans are available to students who have exhausted all other avenues of obtaining funding and who need additional assistance beyond their financial aid eligibility. These loans are not subsidized or guaranteed by the federal government. Students are encouraged with their cosigners to review each lender on their own and decide on the lender of his/her choice. It is important that you review the lender’s terms, conditions, and eligibility requirements before applying. Lenders that our students have used in the past are listed in alphabetical order. We do not indicate any rank or preference. Students may choose to borrow from one of the lenders listed below or from any other lender. Contact the lender for specific terms and conditions. For information on graduation rates, student debt levels, and other disclosures, view this page.